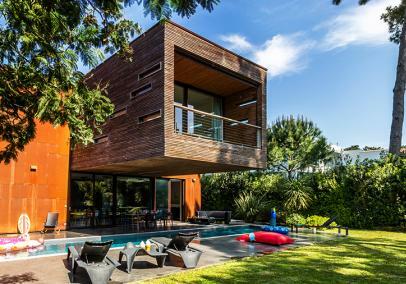 View our collection of 12 Arcachon Holiday Rentals. On the shores of the stunning Bay of Arcachon in France, a beautiful tidal lagoon and summer 'playground'. 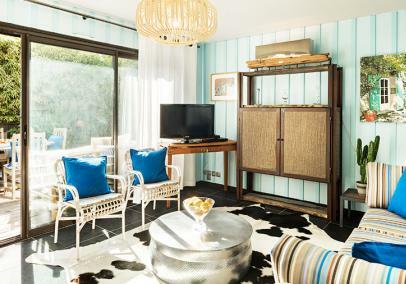 Chic boutiques, sailing clubs and restaurants sit alongside traditional oyster-fishermen's shacks. Child-friendly sandy beaches ideal for young families and a 'must' visit is Dune du Pilat - Europe's biggest sand dune! A Parisien favourite, still a relatively undiscovered vacation destination by 'Brits'. 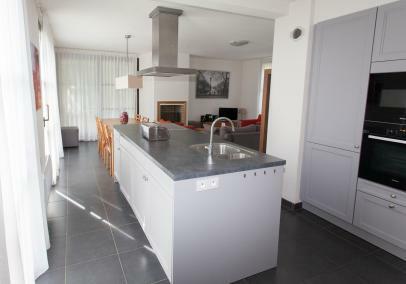 Arcachon Holiday Home Rentals are ABTA protected. Short term vacation rentals available. 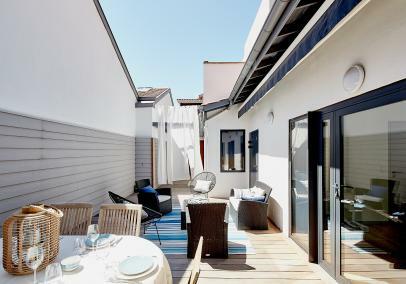 All Arcachon accommodation has been visited and vetted by us. Great area and close to beaches. A location in France, I started going to a child, and wanted to bring my children here for their childhood holidays. A great place to go as a family. Will definately visit again. As relaxing as you wanted it to be. Lovely area although a few traffic jams at certain times! Fantastic beaches for the adventurous who like bodyboarding/surfing. Lovely calm lakes nearby and plenty of attractions for the children. Lovely to visit Cap Ferret for the day by boat. Really good restaurants. We mostly went to Biscarrosse area - the lake and Plage du Vivier. This was a very nice area and very family friendly. Very nice and pretty area to visit. Fantastic for kids under 5. Lots to do. Great beaches and lakes. This area we love - visit year after year - sea, beach, wine and a great place to relax. Next time we want beach side Villa. Great for a relaxing holiday - great for cycling. Saw plenty of the area, St Emilion, Bordeaux as well as the local vicinity to our Villa. It really is a superb location and if you want excellent food and wine there is nowhere better. Good but very busy in August. You need to time your runs as there can be a lot of traffic. Lots to do in this area. We loved this area. Lots for families and kids to do - the Lac at Biscarosse was just amazing - peaceful beaches and shallow water that was great for the kids. Cycle paths are everywhere and really flat, so perfect for all abilities. Will definitely be back! Was about 30 mins from beach, the village Salles was not very catered for babies, pushchairs or tourists in general. The villa was within 600 metres of a very good restaurant and there were others by the port. If you like shellfish particularly oysters that is the place for you.The station and shops were all within walking distance as was the port of La Hume and the beach. It is easy to walk along the coast or you could cycle on the many cycle routes, it is very flat. We went for a number of walks from La Hume around the basin then got the train back, which was cheap and convenient. The best way to see the Bassin d'Arcachon is to take a boat trip. You need a car if you want to go to the hypermarket or further afield. close to sea and lakes and towns. Quiet location,excellent beaches within a short drive.. shops, restaurants, train station within walking distance if you need it. We have been before and cannot fault it. 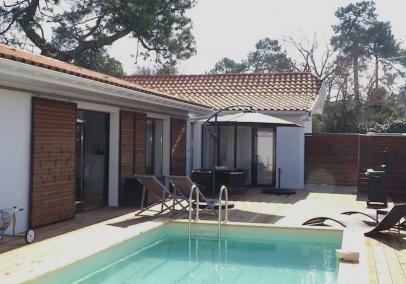 Fantastic beaches, swimming and the option of the Atlantic rollers within a few miles or take the fab day out to Cap Ferret and do find the hidden oyster restaurants, they just serve oysters and prawns and the best Rose Wine in the region. I love this area and came here when I was a child, it has a wonderful natural beauty and just feels like holiday every time we visit. 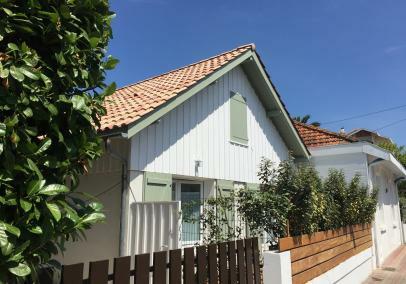 We really like Arcachon having been there twice, great beaches nearby and loads of restaurants bars etc, Also good shopping if thats what you want. Plenty to do in the area.